At Darragh, the oldest headstone that we found was in memory of John Moynihan who died on March 27th, 1778. However, according to the book "God's Acre", which gives details on all the graveyards in the parish, the oldest headstone in the graveyard is in memory to Patrick Clifford who died on May 3rd 1741, aged 38. 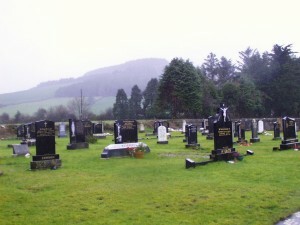 Abbey graveyard is located in the townland of Abbey. 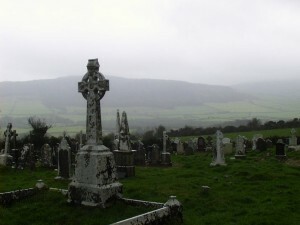 It is well maintained, and new paths have recently been laid throughout the graveyard. The ruins of a church are situated within the grounds of the graveyard. According to "God's Acre" the oldest headstone in the graveyard at Abbey dates from 1772. This headstone is in the memory of Hanora Corbett who died February 9th, 1772, aged 72. 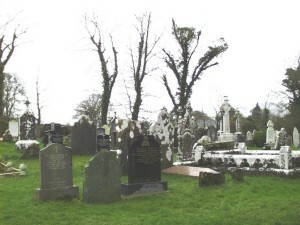 The oldest headstone in the graveyard beside the church at Glenroe is in memory to Fr James Walsh C.C. of Newcastlewest. Fr Walsh died on February 6th 1851 at the age of 28. 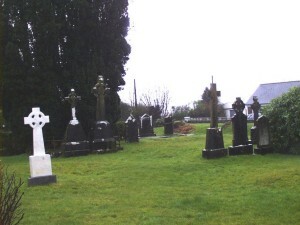 This graveyard was extended in 1960.